Create Your Own Custom Welcome! 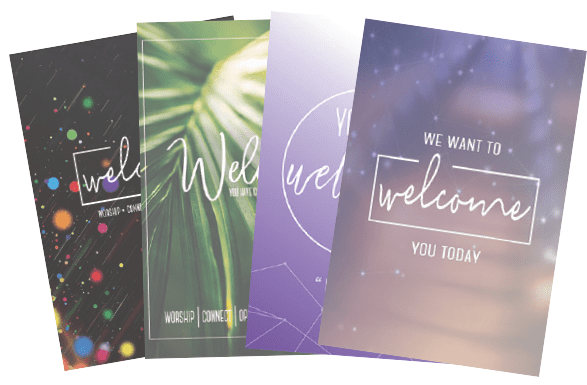 Getting your church’s name on all of your outreach tools can help your church distinguish and brand itself to your visitors and new members as an established and welcoming place to worship. 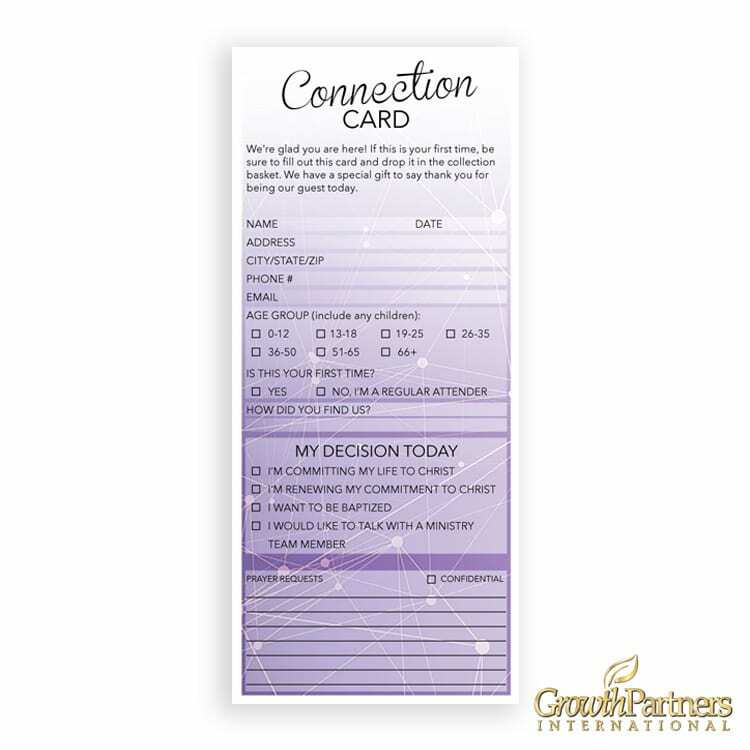 Branding is important for all businesses, and churches are no different! Your brand represents “who you are” as a church. It is important that you have a clear and consistent identity. Having a visual representation of your church is one of the easiest ways to begin branding. 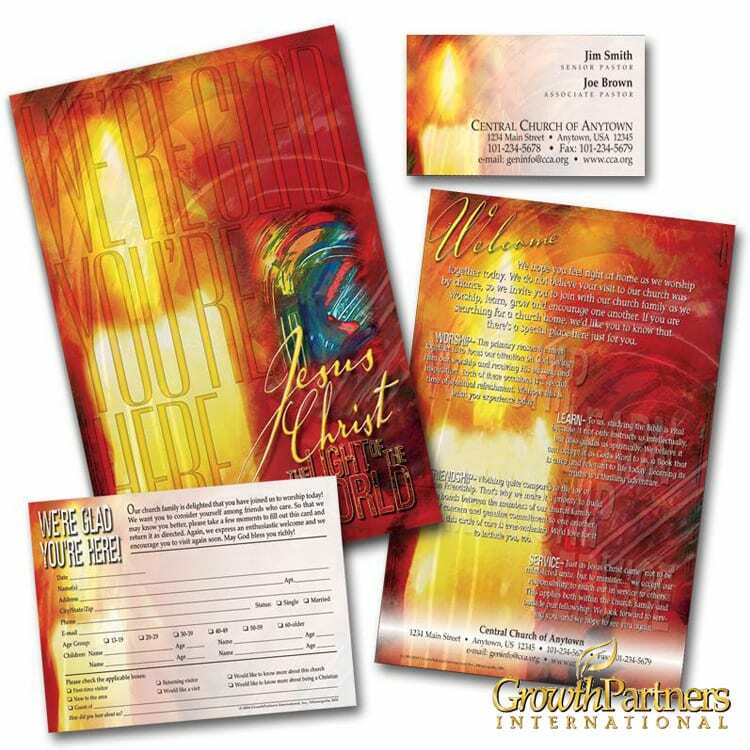 Our custom folders are a great product to add your church’s visual identity to! 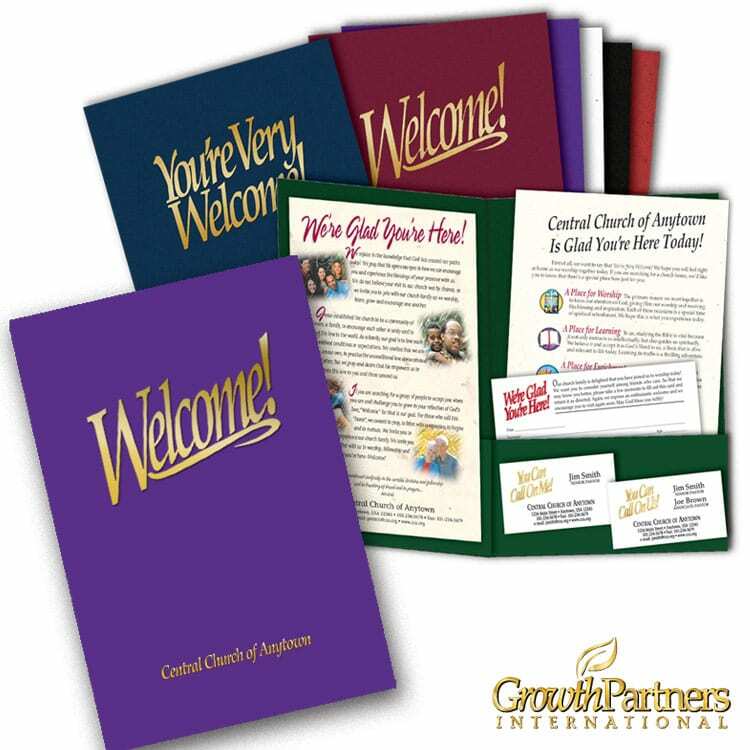 Think of how exciting it will be to hand your welcome folder to a visitor or guest, and have it gold foiled specifically with your church name or logo! Setting up your custom folder is easy. All it takes is for you to tell us what information you want on the folder; our design team will design your logo or email us your current logo. After we perfect your design, we will place the logo on a proof and email you the proof to approve. Once approved, your custom folders will then go into production! The logo can be produced on our gold foiled “Welcome” folder or be gold foiled on a blank folder. The production requires us to create a die of your logo in order to foil stamp the folder. Typically, custom folders take 2-3 weeks from art approval until they are in your hands. They are well worth the wait! There is still time to order and get your folders for Easter so call us today. 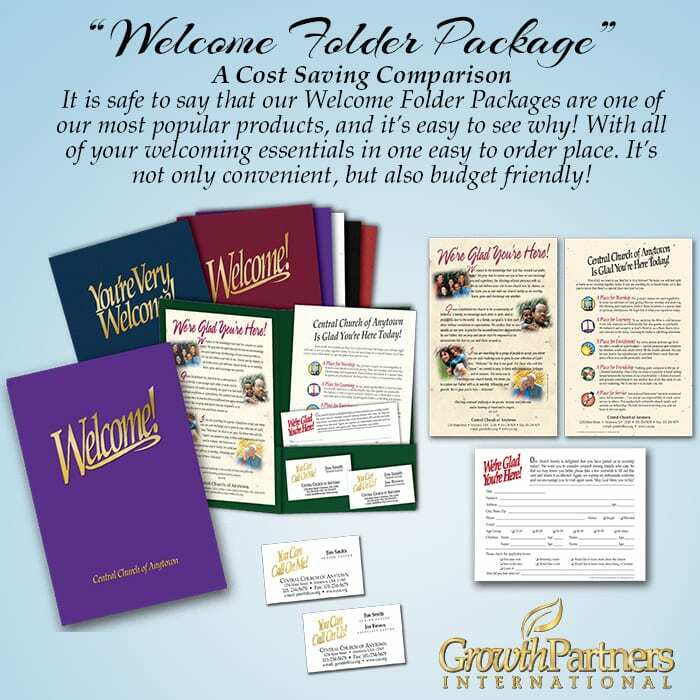 We know you want your guests to be personally welcomed with your custom folder.